however, few communities are able to find the resources to do much more than provide crisis management after the crime has already occurred. While these services are vital, the Mary Byron Project knows this approach isn't enough. As a nationally recognized thought leader on intimate partner violence, the Mary Byron Project cultivates and supports efforts that extend beyond crisis management to attack the root causes of this epidemic and help build safer, healthier communities. Our Celebrating Solutions Awards showcase local innovations in breaking the cycle of violence. We select programs that can serve as models for the nation and offer cash awards in recognition of their pioneering efforts. The awards are open to non-profit or governmental programs that have been operating for at least three years and have demonstrated innovation, positive outcomes, evidence of community partnerships, and potential for replication in other communities. We believe intimate partner violence can be prevented and eliminated within our society. Change will result when local communities confront the root causes of intimate partner violence and develop solutions to break the cycle. 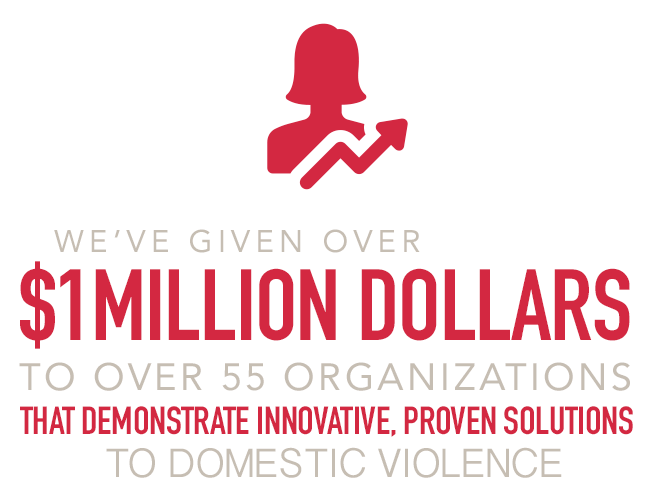 From providing business leaders with the tools to keep their workplaces safe, to empowering young people to play a role in ending intimate partner violence in future generations, we are helping build safer communities. We're changing the conversation, because system change comes from challenging the status quo. Our challenge is to offer new ideas on ending the crime of intimate partner violence. In 1994, Louisville, KY responded to the death of Mary Byron with the creation of VINE®, the nation's first automated system of victim notification. VINE now provides safety and peace of mind to over 20 million Americans annually. Help us continue to look for innovative ideas and solutions.